Spread mixture with a spatula. I hope you enjoy this recipe as much as us! Think I could add chia seeds? I have a stockpile and am trying to think of more ways to use them! I definitely think you could try this with chia. Try replacing the flax and see how that works! I think this is one that I will like! :) Pinning it. It’s delicious! I’ve made a few batches now. Everyone loves them for a snack! Thanks for pinning. My oldest was just talking about how she would love to make her own granola bars and I visit today and here it is. You’re a lifesaver. Will have to share this with her. She would love this!! Thank you so much. Good for you for encouraging ‘clean’ foods. What a good role model you are being for your little ones! I am soooo trying this! Thanks so much! Wow, this looks yummy! Thanks Just pinned! 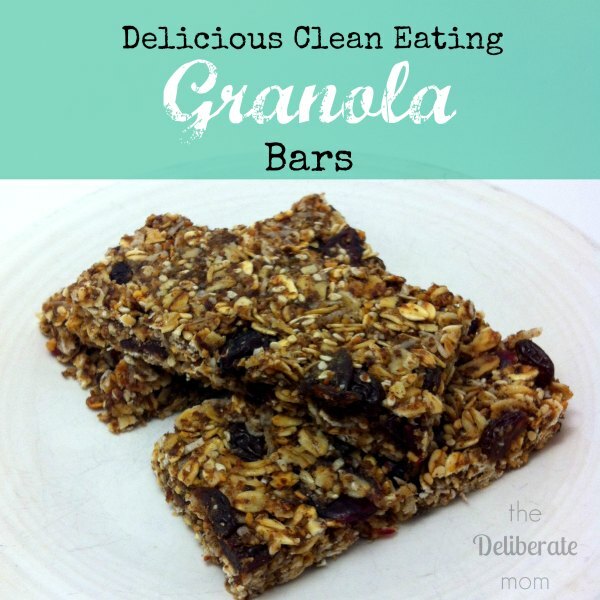 They are fabulous granola bars… and so healthy too! Ok…I looooove granola. In fact, I have a boy, Simon (age 8) who is obsessed with the stuff and wants it for breakfast (with milk) every day. So Kathi makes it for him. Will this on to her. As for me, wellllll, I prefer things that are Fat Free Free. Well these are granola bars but I’m sure that the last step of pressing them and cutting them into bars could be skipped and there you would have straight up granola. Ahhh yes but this is Fat Free Free– you see, it’s loaded with fats, “good fats”. I love that you used coconut oil in these! Aren’t homemade granola bars the best? After you’ve had them, the ones from the box never taste as good. Thanks so much for sharing your recipe with us. We LOVE homemade granola bars. They’re a bit of work but soooooo worth it (in taste and in healthiness)!